The damages left by war are unmeasurable. They are not only material or physical but also emotional and psychological. For children and youth that are amidst conflicts, the impact can be even worst, with the possibility of developing depression, anxiety, aggression, loss of confidence, among many others. A recent report called Invisible Wounds: The impact of six years of war on the mental health of Syria’s children, published by Save the Children, found that as a result of the war, Syrian children have a higher risk of developing toxic stress, the most critical form of stress, that can cause a life-long impact on their mental and physical health. Access to education is vital for everyone, but for war-torn communities, it allows youth a greater sense of hope in their future and in themselves. 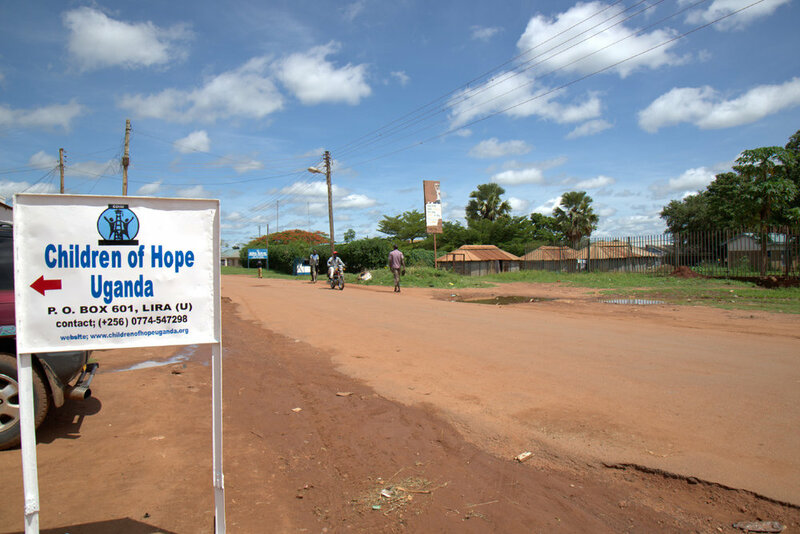 Founded in 2007, Children of Hope is a non-profit organization located in Lira, Northern Uganda, that promotes education and the recovery and reintegration of youth orphaned and/or formerly abducted by Joseph Kony’s Lord’s Resistance Army in Northern Uganda. The Joseph Kony's Lord's Resistance Army (LRA) is a rebel group that since 1987 has killed more than 100,000 people and kidnapped 60,000 children in Northern Uganda, South Sudan, Democratic Republic of Congo and the Central African Republic. In Northern Uganda, 1.8 million were forced to leave their homes because of the LRA's actions. But in March 2017, some progress was made when Joseph Kony's communications chief surrendered. Children of Hope supports local youth with school fees and sourcing university sponsors. They also have a vocational and a nursery school in Barlonyo, where 301 villagers were massacred in 2004 by the LRA. About 1,100 children and youth have received educational support through the organization since its foundation. They also operate income-generating programs such as poultry, goats, and fish farming, a tree nursery, carpentry, bricklaying and tailoring. Lorna Pitcher, President of Children of Hope Uganda (Canada), explains that after the 2004 attack, the survivors were feeling unsure of their future and that the organization supports them to develop their skills. "There is nothing hard about this work, it is purely gratifying to be in a position to help. Our help goes so far, and every little bit of support is a constant reminder of just how lucky we are," Pitcher said. Unfortunately, a huge storm affected the area last March, and the organization worked to replace the roof on the boys' dormitory that was torn off. They worked to raise $450 to cover the cost of the heavier red iron roofing sheets. However, Pitcher says that everyone in the organization is also heartbroken because of another critical loss. "The wind blew over the school's beloved 'learning tree' where the 6 and 7-year-olds in the nursery school would take their lessons", she said. To know more about the organization and to support their work, please click here.